Members of the Cottrell Scholars with Suellen Daniels, executive director of Meals by Grace, where the students assisted with preparing and delivering meals for Forsyth County families in need. The Cottrell Scholars are discussing further engagement with the non-profit to expand their impact on the community. Through a connection made at a leadership event held by the Mike Cottrell College of Business at the University of North Georgia (UNG), a group of students is poised to increase the impact of a Forsyth County non-profit organization. Meals by Grace Executive Director Suellen Daniels is impressed by the help received from UNG's Cottrell Scholars, a group comprising the university's top business students. She is excited about the future of the non-profit, which provides meals to struggling Forsyth County families. "I met Avery Ross at the Inspirational Leaders Luncheon, and I loved his idea to involve the Cottrell Scholars in Meals by Grace," Daniels said. "He and other Cottrell Scholars also reached out to me with ideas and ways to expand our vision." The students' involvement began with packing meals to meet their required hours of community service, but Ross, who is part of the leadership group for the Cottrell Scholars, said he hopes to grow the partnership. Ross said the Cottrell Scholars often re-evaluate how they can offer their knowledge and services and could partner with Meals by Grace to offer expertise in financial literacy and personal finance to families and high school seniors. 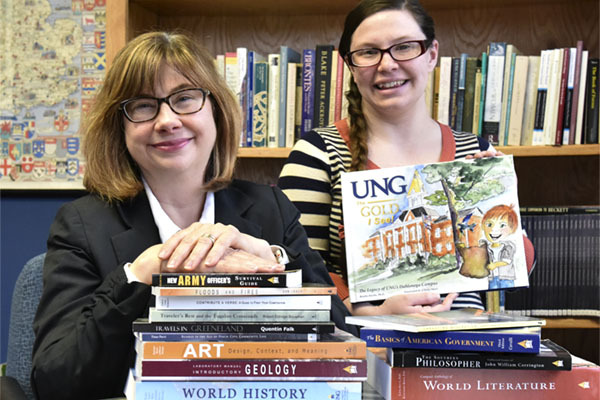 "Suellen and I had a conversation about several things, including an internship program for UNG students that could be annual positions with the group, which could provide invaluable experience for our students," Ross said. 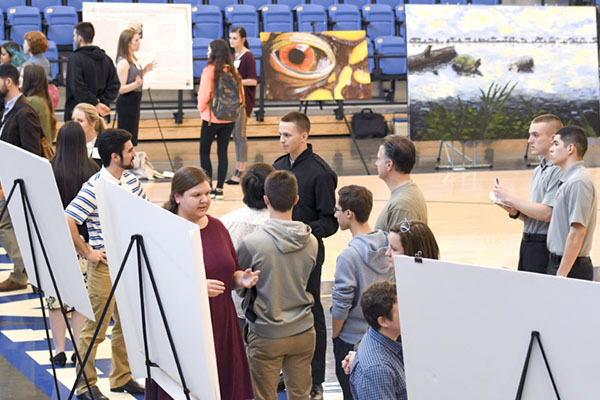 "This is representative of what we want to achieve throughout all of our university's communities, and UNG is large enough to bring great resources and knowledge to bear, and small enough to personally engage our communities and feel the impact." The students' work with Meals by Grace is evolving into a service-learning project, with students examining methods to help the non-profit achieve what Daniels called "breaking the cycle of poverty." 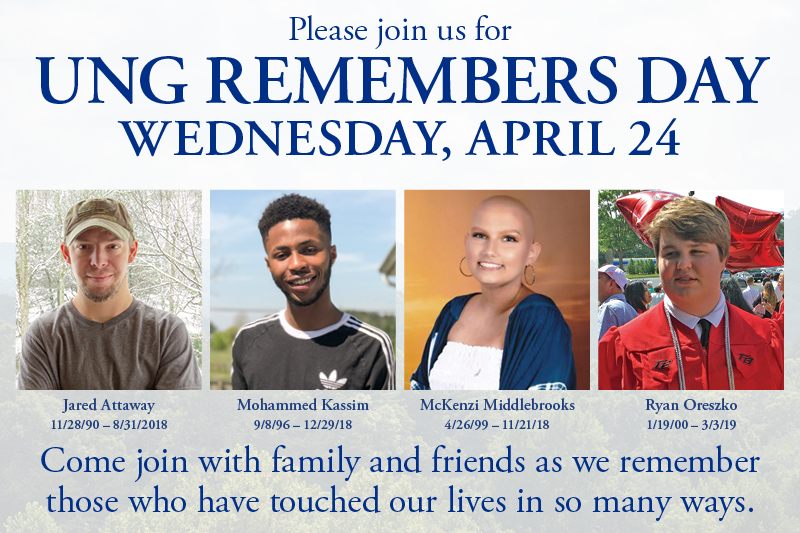 Service learning, a major component of UNG's mission, integrates meaningful community service with instruction and reflection to enhance learning outcomes, teach civic engagement, and strengthen communities. "The Cottrell Scholars have done an excellent job of engaging with Meals by Grace. The students' participation in the community, and the many activities in which they are involved, help fulfill the Mike Cottrell College of Business' vision of building strong graduates and strong communities," said Dr. Donna Mayo, dean of the college. "The Cottrell Scholars initiated this project because they have a genuine interest in giving back to their communities." Daniels is interested in continued partnership with UNG to help Meals by Grace realize its long-term goals in becoming more proactive in supporting the community. "We want to keep building bridges with UNG," Daniels said. "We want to create a leadership training mentoring model for youth and we are looking for sponsors, and we have talked about offering a trial run to UNG groups. Eventually, we want to offer this training to the families we serve to break the cycle of poverty, with a long-term goal of building a community center. We would love to have any students interested in internships and leadership training." According to statistics from the University of Georgia in 2011, an estimated 14,400 people in Forsyth Country were living below the poverty line, above the state's county average of 11,600 people that year. "The number of families that fall below the poverty line in Forsyth County is significant, and is a matter with which we should be concerned. To think of anyone going to bed hungry because of economic conditions, family situations, or health problems is not something we should be complacent about," said Tallie Williams, a Cottrell Scholar. "Meals by Grace is a great organization for the Cottrell Scholars to partner with, providing us with many insights in how we can impact our communities."